It's amazing to watch online videos on iPhone and iPad with industry-leading displays and stereo speakers. Now, AnyTrans enables you to fully enjoy them, even on the move. 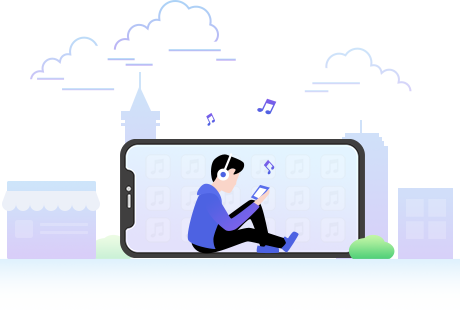 As the world's only free solution with versatile and unlimited possibilities, it downloads any online videos and music of your interest directly into your iPhone, iPad, and iPod, or computer if you want. 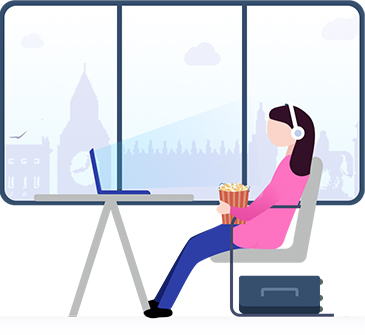 You're then free to enjoy millions of videos, as well as music, offline on a flight or underground, or simply when you don't have an Internet connection. Everyone has a favorite media site to watch videos. AnyTrans covers YouTube, DailyMotion, Vimeo, Facebook, Instagram, and other 900+ sites to let all of you download any videos you want. No matter it is MP4, MOV, MKV, AVI, FLV, or any format, you can always save the video and enjoy it offline. AnyTrans will intelligently pick out the optimal resolution and download it for you with zero quality loss. It's never been so convenient to download an online video straight to your iOS devices and computer. You just copy the URL, and AnyTrans will do the rest. 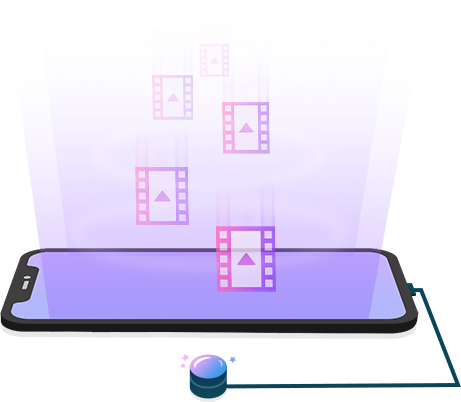 It automatically detects videos within each URL, and efficiently downloads all your favored videos in bulk. More intelligently, AnyTrans resumes interrupted downloads, so you can just continue from where the previous download failed, not having to start over from the very beginning. This could save you a huge amount of precious time. Easy to feel bored during a long flight or train trip? Well, AnyTrans is here to keep you entertained with your favorite videos. It lets you choose from millions of online videos and download the ones you like directly to iPhone & iPad. All the clips will be automatically converted to iOS-compatible formats for perfect playback. You can then watch them via the native Videos app of your iOS device, in your most familiar and battery-efficient way, anywhere, anytime, as you wish. It's painful when your favorite online video gets removed from YouTube or another site, and you are thus never able to watch it again, ever. Now, no more worries. AnyTrans can save whatever you love, locally. All the videos you want can be smoothly downloaded from YouTube and other 900+ sites, and safely preserved in your computer, with the best resolution and no pre-roll ads. You know they'll always be available for you to enjoy, even sidestepping annoying ads. More than videos, AnyTrans now can also download online music to your iPhone, iPad, iPod or computer, as you want. It will automatically convert the downloaded audio files to MP3 format, so you can listen to them smoothly on your iOS devices. With all your favorite songs stored locally in your pocket, you'll never miss a beat since then, no matter where you go. AnyTrans is gonna be more intelligent to better serve you for downloading online videos, soon. You'll only need to copy the URL or drag-and-drop it to a floating window, and then leave the rest work to AnyTrans. It will analyze and download all the videos without further bothering you. To ensure you get the best viewing experience, it would even smartly choose the most suitable resolution for your specific iPhone, iPad or iPod touch. Just stay tuned for more amazing possibilities. Please do not use AnyTrans to download illegal or prohibited content by any applicable law, or any content that you do not own the copyright of or without permission from the copyright holder or for commercial use. iMobie shall not be liable or responsible for any illegality caused by anyone’s improper use of AnyTrans. 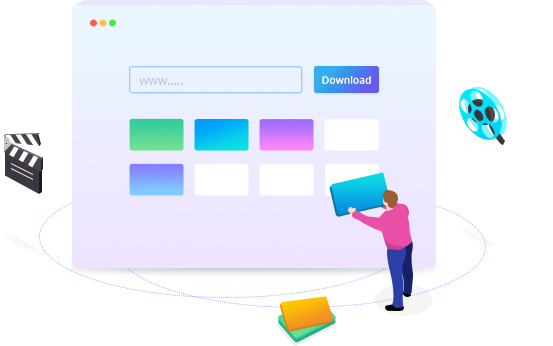 AnyTrans builds up a lightning-fast bridge across your iPhone, iPad, iPod touch and computer, and allows your music and video files fly freely among all your devices. Share and enjoy, it's that simple.